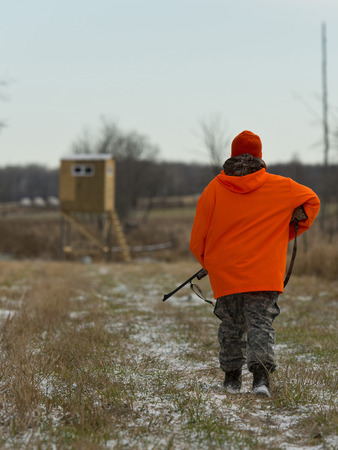 Interesting in doing some exploring outside of your usual hunting grounds next season? The Michigan Department of Natural Resources recently released a great new tool that can help you find the best deer hunting areas in the state. This interactive map is based on the DNR’s 2016 deer harvest survey, and it offers a number of useful insights into the distribution of Michigan’s deer population. The formula the DNR used to identify the best areas for deer hunting is simple; the number of hunters in each area was divided by the number of deer harvested. Based on this figure, the DNR was able to determine which regions have the most favorable deer-to-hunter ratios. So which regions bagged the most deer-per-hunter in 2016? Isabella County came out on top, with 7.75 deer for every 10 hunters. Nearly 8,000 deer were harvested in this county during the 2016 hunting season. Gratiot County and Bay County followed close behind, with 7.68 and 7.29 deer for every 10 hunters, respectively. The thumb region (Which encompasses Huron, Tuscola and Sanilac counties) holds fourth place with 7.26 deer per 10 hunters. Some of the worst areas for deer hunting in the state had less than 2 deer for every 10 hunters. It’s also interesting to note that the DNR’s interactive map highlights the department’s chronic wasting disease (CWD) management zone, which covers the majority of five counties in Southern Michigan. More than 15,000 deer were harvested in this area in 2016, but its future remains uncertain due to the state’s ongoing battle with CWD. Check out the map for yourself to find the best places to hunker down in your deer blind from Productive Cedar Products!